Christmas shopping can be such a hassle. I have the tendency to avoid malls during the entire month of December. Parking is a nightmare and sales people are overworked and grumpy. Luckily for San Diegans we have great small businesses that make it possible to buy terrific gifts minus the headache of enduring cheesy Christmas tunes and crabby shoppers. Hooray for SD! My go-to place for crowd-pleasing gifts is always Pigment in North Park. You can find something for everyone. In the past I have purchased succulent arrangements for my mom, candles for my kid's teachers, a sturdy flask for my brother-in-law, and beautiful jewelry for my sister. 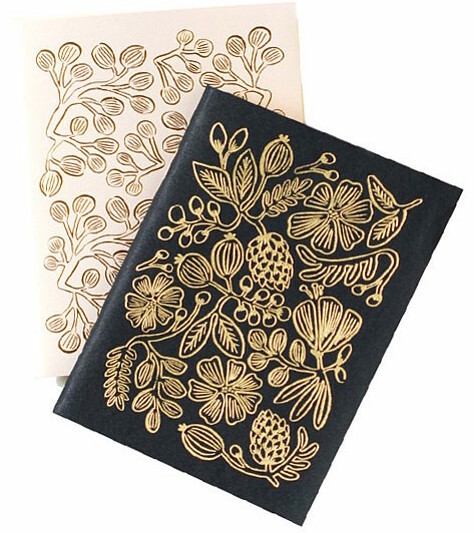 If you are looking for something simple, Pigment has a set of beautiful gold accented journals. At just ten bucks it’s a stylish steal. It would work well for that random person on your gift list or as a stocking stuffer. Next up is Graffiti Beach in South Park. This is another great spot for unique gifts. Show some San Diego love to your favorite native with an engraved-wood map for $69. It is 1/8" thick and made from aromatic cedar. It measures 11 1/2" x 14 1/4". Also at Graffiti Beach, splurge on a pretty jeweled-cuffed cocktail dress for $52. It would work well as a New Year's Eve dress and comes in small, medium, and large. Another good buy for San Diego fans or visitors to our fine city is a tee from Local Apparel. 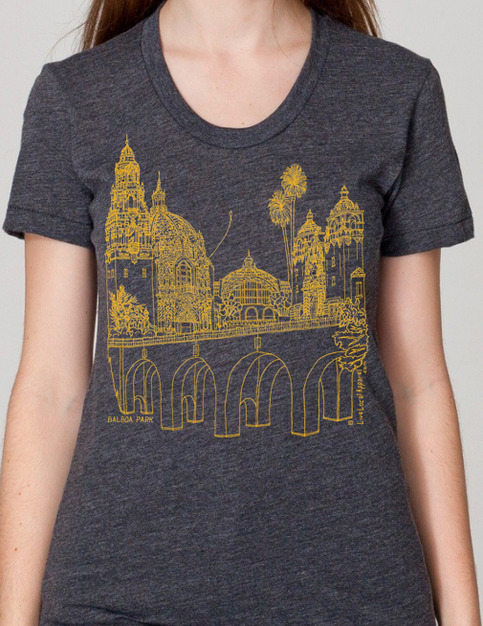 The shirt features a hand drawn image of Balboa Park screen printed with water-based ink. It retails for $20. Local Apparel also sells North Park, Coronado, and Trolley Line t-shirts in various colors. They are terrific for showing neighborhood love. 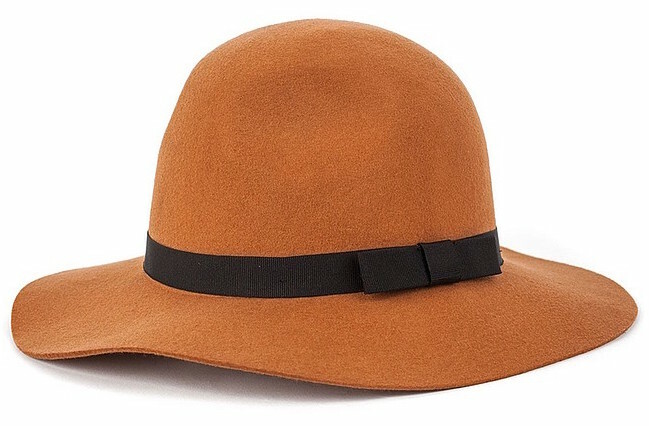 Lastly is the Brixton Dalila hat in rust. This wide-brimmed, stylish hat goes for $50 at Captain's Helm in Oceanside. Captain Helm is a great little shop chock full of terrific vintage items. I just wish they had a location a tad closer to downtown. With this floppy felt hat, you get to double dip: it's a local brand (Brixton) sold at a local shop. It is perfect for winter.